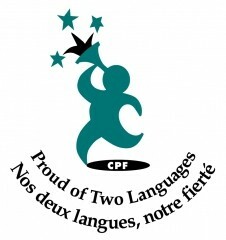 CPF is the national network of volunteers which values French as an integral part of Canada and which is dedicated to the promotion and creation of French second language learning opportunities for young Canadians. Parents are consulted before a student is placed in a special education program and signed parental permission is required. All placements are reviewed at least annually and parents are encouraged to keep in close contact with teachers. Questions and comments are always welcome! A Speech Therapist and a Special Education Consultant are available to the school on a regular basis. Consultants for the visually and hearing impaired can be brought in from Edmonton and the services of the Aspen Health Authority are available as required. Mild, moderate, and severe (Program Unit Funding) needs are met as much as possible within the kindergarten classroom. In addition to the assistance given by specially trained and experienced classroom assistants, outside agencies such as Aspen Health are used in consultation when necessary. Mild, moderate special needs are met as much as possible within the classroom program. Some small group pullout programs are implemented in language learning. In grade 5 and 6, students receive smaller class assistance in math. Students with severe needs are assigned a classroom assistant for all or part of the time, depending upon student needs. The Pembina Hills Regional School Division offers a unique early education pre-kindergarten program for preschoolers with complex special needs. This program will provide students with the structure and interventions needed in order to prepare them for inclusion in their local kindergarten program. Early Intervention applies to young children who have or are at risk of education delays or have special needs which will affect their development. Early Intervention programs provide services to the child and his/her family for the purpose of reducing difficulties. Music instruction is provided for children in grades 1 through 6. Strong emphasis is placed upon participation in a variety of choral, listening, instrumental, movement, reading and performance activities. As children participate they develop an awareness and appreciation of a variety of music, insights into music through meaningful musical activities, self-expression and creativity, musical skills and knowledge, and an enjoyment of music. Our school also offers a Student Choir which practices during the noon break. Students in grades 4 to 6 are welcome to join. The Drug Abuse and Violence Resistance Education (D.A.R.E.) program through the local Royal Canadian Mounted Police detachment, is funded through community sponsorship and Victim Services. This is offered to classes in grade 6 and the emphasis is on training for responsible decision making and awareness of the negative impact of non-medical drugs and alcohol. The course is instructed by a trained member of the R.C.M.P. and consists of 17 lessons. This school wide program, which focuses on positive attitudes and personal responsibility, reinforces family values in order to develop a moral culture. Building on the work of Michelle Borba,”moral intelligence is the growing capacity to decipher right from wrongs to choose what’s right and then behave morally”. 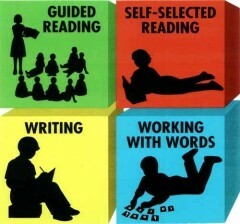 Balanced Literacy is an approach used by our teachers to provide complete and specific instruction in all areas of literacy. Students receive instruction in reading and writing. Our teachers receive on-going professional development in Guided Reading, Guided Writing, Independent Literacy Activities for students, Word Work and Oral Language Development. Effective literacy instruction depends on what we believe about how children learn to read and write, and the time we are prepared to devote to this effort. We expect home/school partnerships to be in place, as it is only through both bodies working together that we will see maximum results.